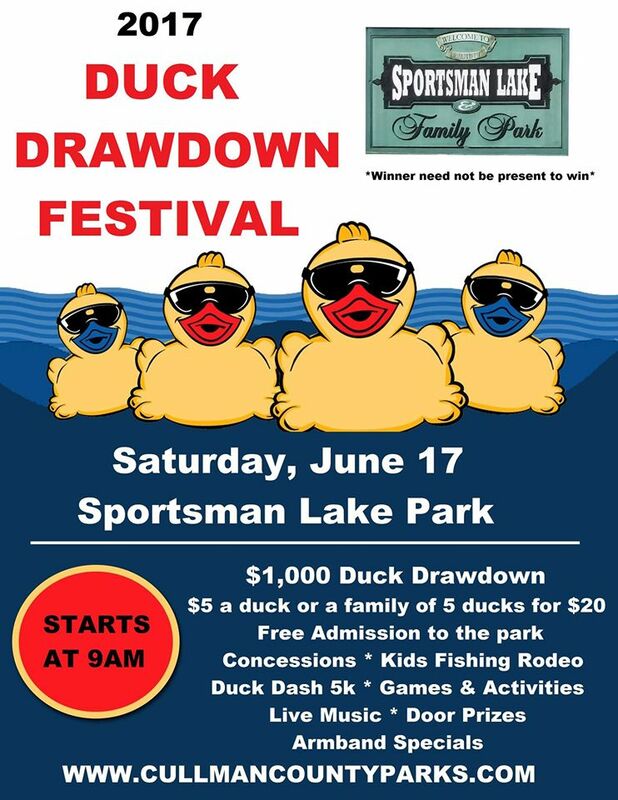 CULLMAN – This Saturday June 17, starting with registration for the Duck Dash 5K at 6 a.m. and opening of the Duck Drawdown Festival at 9 a.m., Cullman County Parks and Recreation looks to kick off what it hopes will become a signature annual event for Sportsman Lake Park. The event will feature all-day activities, from an unofficial 5K (followed by a color/water war)– meaning that there will not be professional time-keepers – to a raffle drawing for a $1,000 grand prize and other smaller prizes, to the finale of a putt-putt golf tournament at the park’s newly-renovated course. Davenport is aiming to utilize all the amenities at the park to make the event a hit, and one that community members look forward to year after year. “With the 5K, everyone seems to be doing themed 5Ks these days, so we’re making ours duck-themed, and teams that are running together are encouraged to dress up in costumes to win prizes for best-dressed,” Davenport said. Davenport emphasized that this is an event promoting the community, enjoying the outdoors and promoting health and wellness for citizens. “We want people to come out to the event and have fun,” he said. The free event will feature live music and the concession stand at the park will be open and serving treats for those roaming around the park. “We want to provide something fun and different for people who might be bored with any other kind of event,” he said. For more details about how to register, directions and other questions, visit www.cullmancountyparks.com/duck-dash-5k.html.